I always look forward to any event organized by our Department of Tourism because, not only does it keep me abreast with the latest in this industry that continues to fill my life with exciting moments, it is also bonding time with my colleagues who, just like me, are stakeholders. So when an invitation to another DoT event came my way not too long ago, I accepted it right away and looked forward to learn something new or, at the very least, have another fun get-together with friends. But this one turned out to be even more special than what I had anticipated. Awards were given out to outstanding players in the industry. The stage’s colorful electronic background at the ballroom of the Manila Diamond Hotel. The ten member states of the Association of Southeast Asian Nations decided to standardize the tourism services that they provide, and make it easy to market all 10 countries as a quality single destination. An ASEAN Tourism Task Force was created with the concurrence of the National Tourism Organizations of each of the 10 countries. Standards with specific criteria, requirements, and guidelines were established for seven identified areas: Green Hotel, Community-based Tourism, Homestay, Clean Tourist City, Spa Services, MICE Venue, and Public Toilet. Since 2008, it has been ASEAN’s practice to give recognition to industry stakeholders who meet the minimum requirements of these ASEAN Tourism Standards. For this purpose, a colorful and elegant awarding ceremony is held during the ASEAN Tourism Forum (ATF) each year. The first one was convened in Thailand to honor the Green Hotel awardees. Since that time, these prestigious awards have been handed out to other industry players who excel in the other categories. DoT USec. 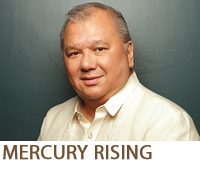 Art Boncato represented Tourism Secretary Romulo-Puyat in the well-attended event. Early this year, the ASEAN Tourism Competitive Committee hosted by Vietnam picked out from every member country three winners for Community Based Tourism, five for Homestays, five for Spa Services, and five for Public Toilets. 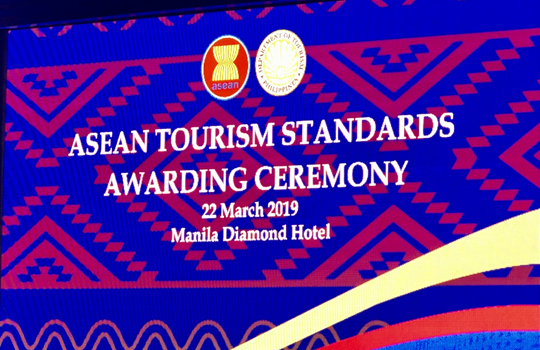 Since not all winners from the Philippines had the means to travel to Vietnam to attend that auspicious occasion, our DoT’s Office of Tourism Standards and Regulations organized another awarding ceremony for them here in Manila, thus the event. The morning’s awarding ceremonies gave recognition to enterprises and associations from the private sector and local government units. Aside from those from the National Capital Region, other winners came to Manila from the Cordillera Administrative Region, Cagayan Valley, CALABARZON, MIMAROPA, Central Visayas, and Davao Region. 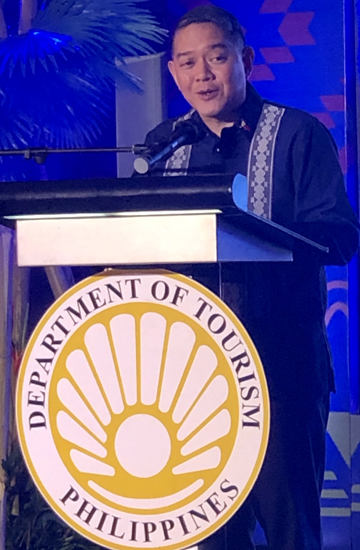 The number of awardees is a testimony that our tourism industry stakeholders are totally supportive of our country’s drive for sustainable tourism, the same goal other ASEAN member nations have. The direction which these outstanding enterprises and associations are taking is certainly in sync with our tourism industry’s call to action for all its players to advocate responsible tourism, reduce resource consumption and waste generation, and adopt other sustainable tourism practices. These admirable practices of conservation, preservation, rehabilitation, and the maximum utilization of our country’s resources are the very essence of real sustainable tourism. Since we, definitely, are on the right path, I am looking forward to more enterprises on the awards list for next year. Surely, we will continue to rate high and even exceed the ASEAN’s Tourism Standards. GETTING ANGRY WITH SOMEBODY? If the person is younger than you, count to 10, then talk. If the person is of the same age as you, count to 30, then talk. If the person is older than you, count to 50, then talk. If the person is your wife, keep counting...don’t talk!